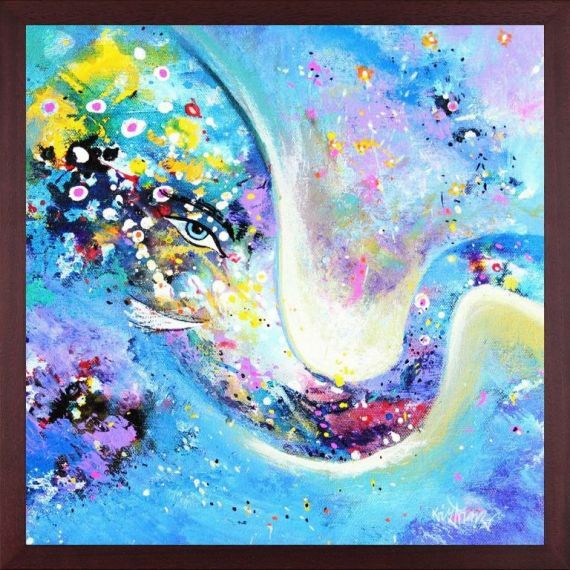 Sovereign Frame 24" X 24"
Contemporary Indian artist Sanjay Punekar is a true wonder when it comes to producing modern Indian art. The Delhi-based artist strives to express the indescribable feeling one gets when alone with the natural world, and he often integrates many classical Hindu elements into his repertoire of contemporary Indian art. 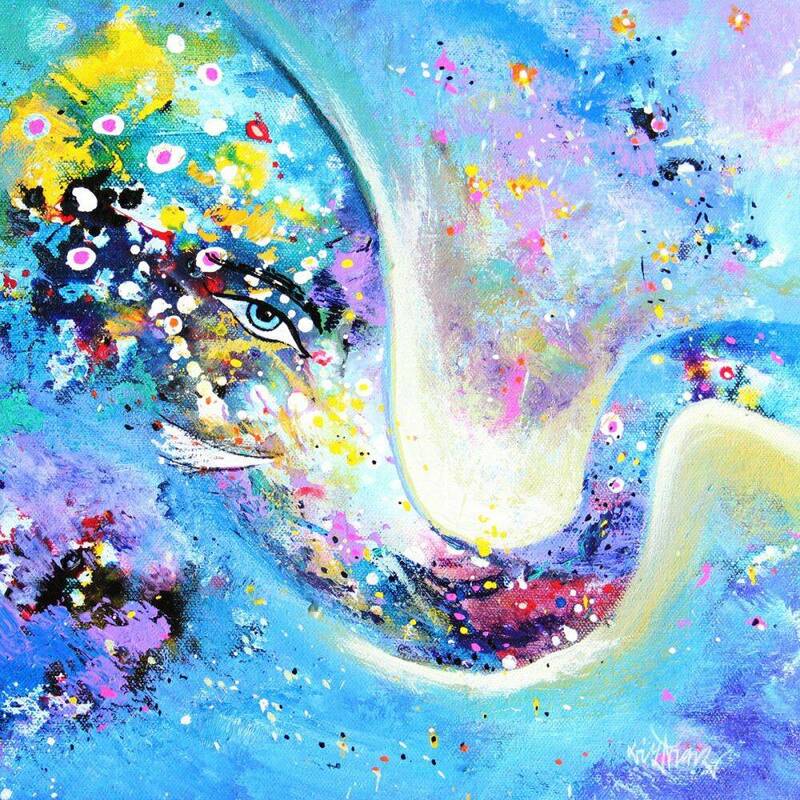 Ganesha (Cyan) offers a colorful, eye-catching depiction of Ganesha (also known as Ganapati), one of the most-worshipped Hindu deities. 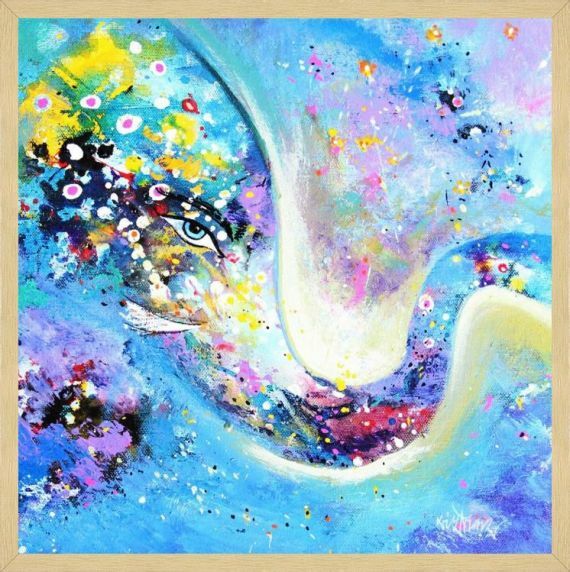 This vibrant and high-quality canvas print perfectly reproduces the artist's original Ganapati oil painting. 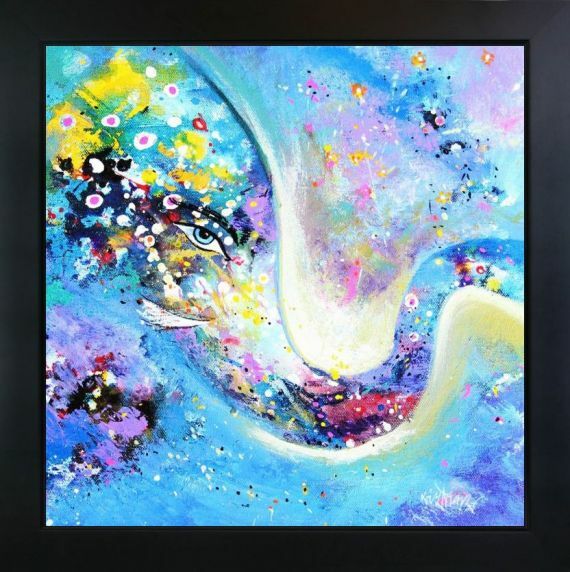 You can hang this wonderful work of art anyplace you want to encourage all that Ganesha stands for, including intellect and wisdom, or in your earthy living space. 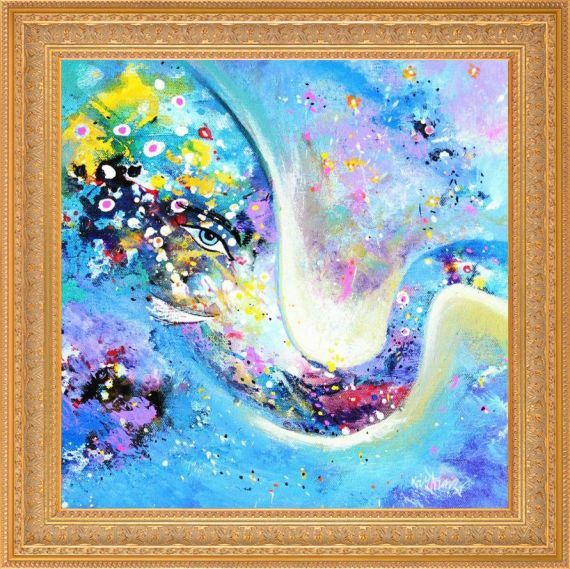 This canvas print come in a square size 24" x 24." Color Palette for Ganesha is empty.